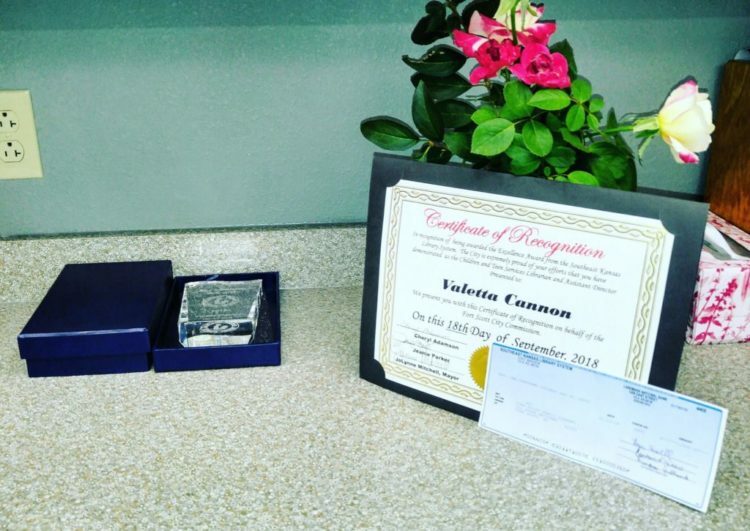 Valetta Cannon with her recent awards from the Southeast Kansas Library System and the City of Fort Scott. 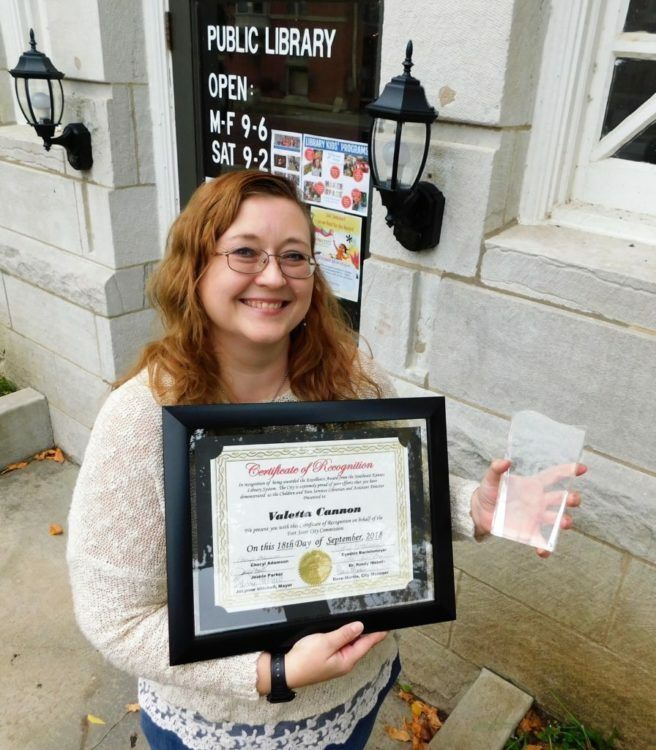 A local librarian recently received a recognition by the state library system and the City of Fort Scott. Valetta Cannon, Fort Scott Public Library’s Youth Librarian and Assistant Director received a trophy from the Southeast Kansas Library System, along with a $1,000 check from SKLS for the library. 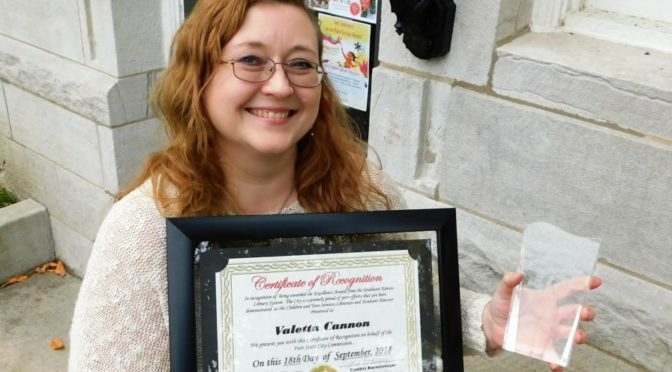 “The award was first publicly announced at the Southeast Kansas Library System’s annual meeting at Iola High School on June 1,” Cannon said. “The trophy, certificate, and check were presented to me at the Fort Scott City Commission meeting on September 18. “Decisions will be based upon the extent to which a nominee exceeds the norm and provides excellent service or support, with consideration to the size and type of library of the nominee. The committee’s decisions are subject to the approval of the Director. A trophy, a City of Fort Scott Certificate of Recognition, and a $1,000 donation to the public library were awarded Cannon. Previous PostGilligan’s Island at FSCCNext PostCandidates Forum Oct. 22 at 5:30 p.m.